National-level fencing competitions can be overwhelming—but they can also be overwhelmingly fun! Study up before heading to your first Summer Nationals or North American Cup so that you feel prepared and ready to fence (or cheer) your best. 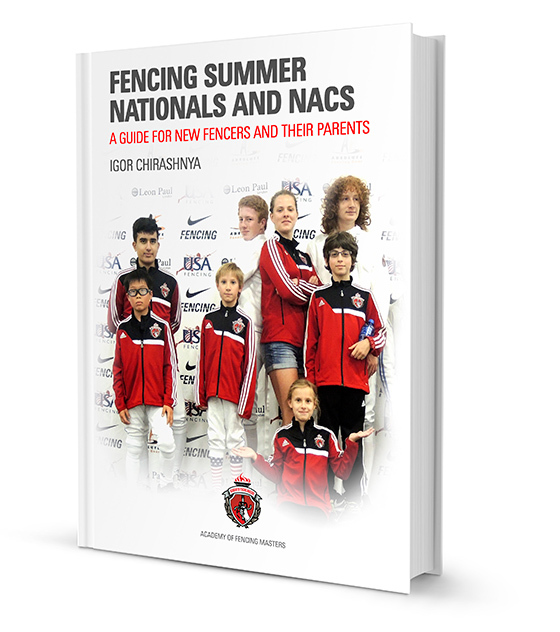 A little bit of knowledge can help minimize any anxiousness and our eBook will address all of the common questions we get from first-time attendees, both fencers and parents. Our goal is to get the preparation and anxiety out of the way to pave the way for an enjoyable competition and a memory to last a lifetime! We welcome your comments and feedback: contact us.